[Contest] I Love Being A Blogger! / IISJONG | Singapore-Australia Lifestyle & Travel Blog IISJONG | Singapore-Australia Lifestyle & Travel Blog: [Contest] I Love Being A Blogger! [Contest] I Love Being A Blogger! Are you a blogger like myself? People always ask me what is it about blogging that I love so much? I don't have a lot of time on my hands to blog as frequently as before due to my studies, I absolutely abhor having to deal with the internal politics that goes on in this small industry and I secretly detest having to put on makeup when I go for events but have to because I sort of have an image to portray :X. The love of sharing, the experiences and the friendships made. These are what gave me the courage to continue and face whatever the challenges are ahead. I don't always meet up with my friends, but thanks to blogs, we can catch up with each other's lives through our little rant spaces. The satisfactions from readers all over the world, leaving comments and emails on how helpful my posts were to them made me want to work even harder. The khakis I attend events with almost every week, I am thankful to know of their existence and I love their company. The sponsors who are like my friends, always spoiling me. Wouldn't have crossed paths with them if it wasn't for blogging! This blogging route of mine has opened up many paths of opportunities for me. I've since improved myself by joining competitions, got lovingly pampered by my sponsors, as well as attended all sorts of media events I've never imagined myself being invited to. I’ve decided to study Media partly also because of the built up interests blogging gave me. I could go on and on with the gazillion number of stories, in which some bits and pieces you could find on this blog. Do you have your own blogging story too? 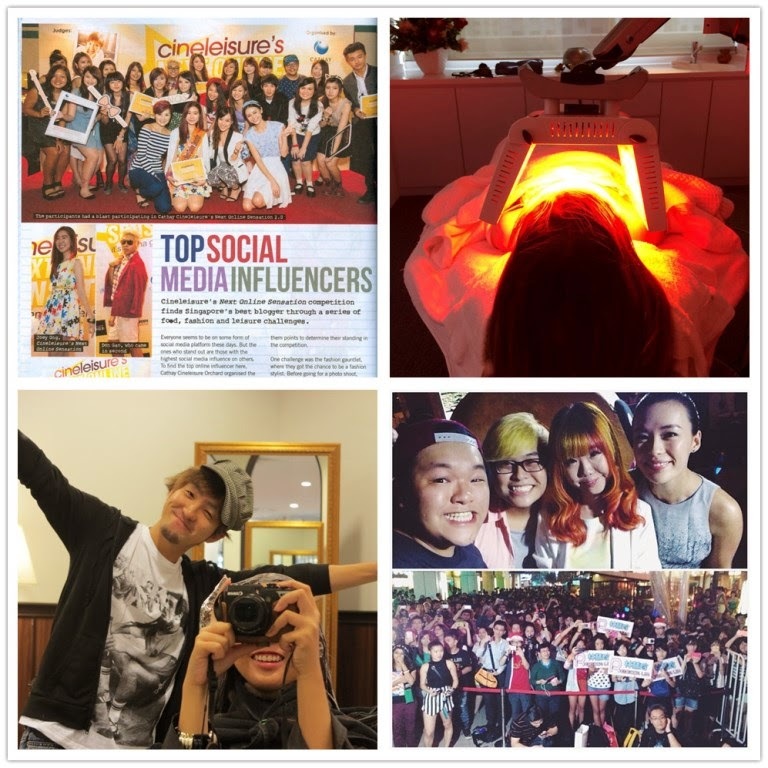 Also thanks to blogging, I am now managed and groomed by The Influencer Network as one of their Celebrity Bloggers. This means more paid advertorial jobs for me! Paying bloggers are so underrated; your spaces are worth money people! The Influencer Network is currently holding “I Love Being A Blogger” blogging contest! 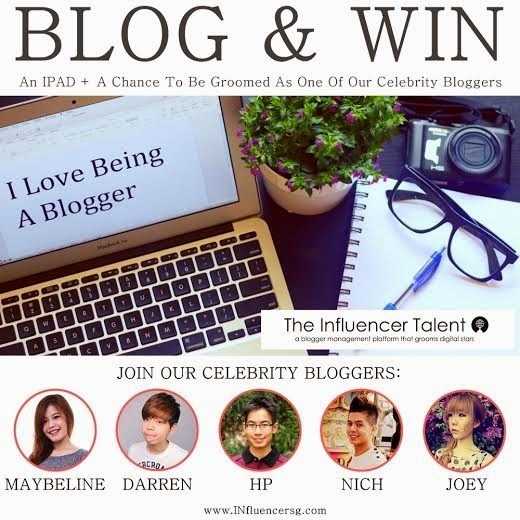 Wanna win an iPad Mini and a 12-months blogging contract? Share with us why you love being a blogger and how has blogging changed your life! This blogging contest is open to all bloggers. The most creative blog post will win an iPad Mini and a 12-months blogging contract with The Influencer Network. You could also join them onboard at http://www.influencersg.com/join.html (No Registration Fee) and explore your dreams of becoming a popular and influential blogger in Singapore. Be proactive and take the first step to the many opportunities ahead!